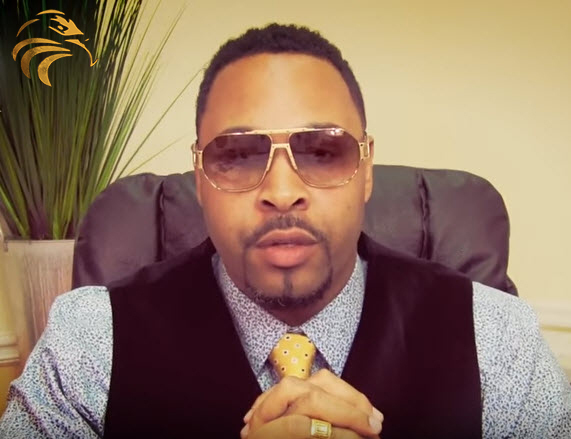 THE "GOD CARD" FOR MONEY, SUCCESS & ABUNDANCE! GET READY TO EXPERIENCE MAGIC!! This exclusive, never done before 3 week business, wealth and success course combines the best business and leadership practices with alchemy and the Law of Attraction in an easy, organized course that when done correctly will CHANGE YOUR LIFE as it has done for me and thousands throughout time! Being wealthly is not rocket science. It’s a recipe! Follow the instructions to the letter and you will see increase in your life!! You will be guided step-by-step by Naazir on how to manifest wealth, abundance and success in your life. Daily assignments keep you on-track and focused like no other course on the market! . *Please note, this is not like any other success course on the market. For it contains advanced spiritual science (quantum physics) teachings as well as BEST business and leadership practices. It is worth 10X the value and will not be available for long. Don't miss this opportunity to discover these tightly guarded secrets! You will receive 15 business and success video courses on an exclusive flash card! 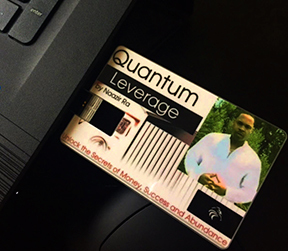 "THE GOD CARD"
Over 5 hours of powerful cutting-edge business and success content! - How to run your business full-time! - Discover your personal magic "freedom number"
- How to retire early! - Universal Laws that make you a money magnet! - The secret science of Quantum Sigilation! - Discover your personal "Freedom number"
- How to get HUNGRY! - How to ignite the fire of passion! - Goals, Objectives and Deadlines! - Discipline vs Habits.. This you MUST know! - Quantum Sigilation / Logo creation.. Very Powerful! 1. Open the lever so that the gold USB contacts are facing up. 2. Insert the chip into your computer USB port with the gold contacts facing up. 3. A window will open and display the course sessions. 4. Click on "Session 1" to begin the course. 5. Complete one session per day from Monday to Friday for 3 weeks. 6. Weekends are used for make-up days if needed. 7. Complete each course activity or assignment. This course has been a tremendous investment as I’m getting a lot of benefits from new ideas, focused constructive action and inspiration. This is a great investment! Thank you!! I recommend this to everyone! !